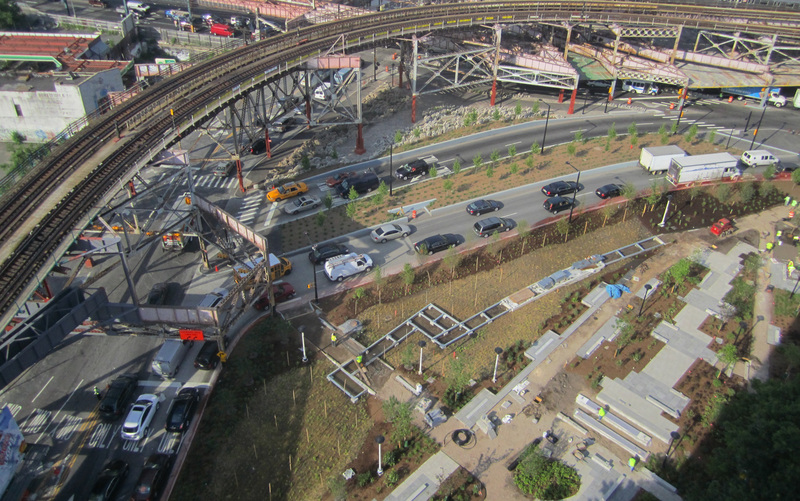 SiteWorks was part of the resident engineering team for Queens Plaza, one of the city’s busiest transit hubs. 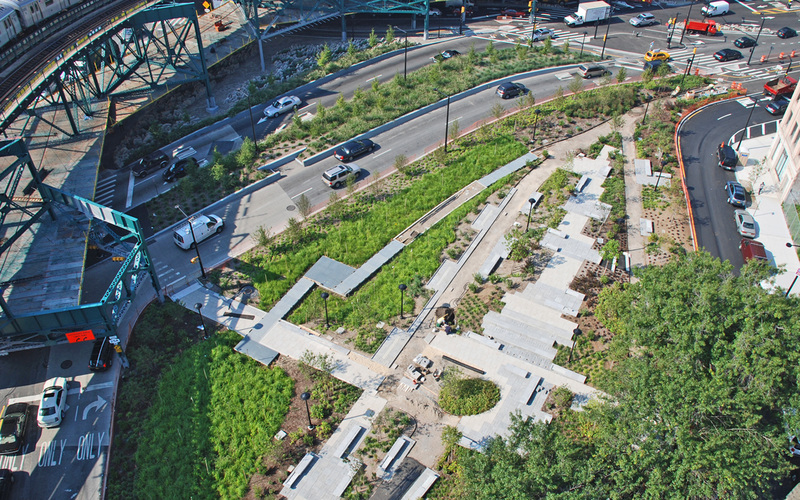 The central challenge of this project was to convert acres of traffic-clogged pavement into a pedestrian-friendly oasis complete with a wetland which collects rain water from the surrounding design and filters it prior to entering the storm system. 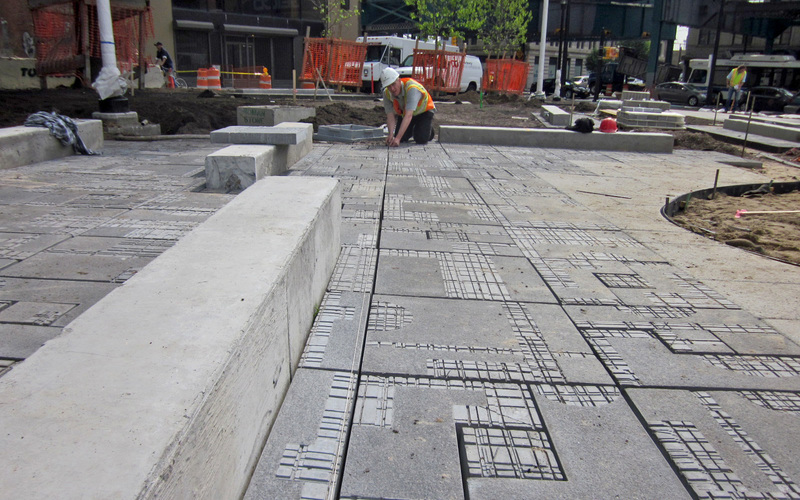 Custom pavers and furnishings, central to the landscape were designed by WRT in collaboration with artists Michael Singer and Leni Schwendinger. 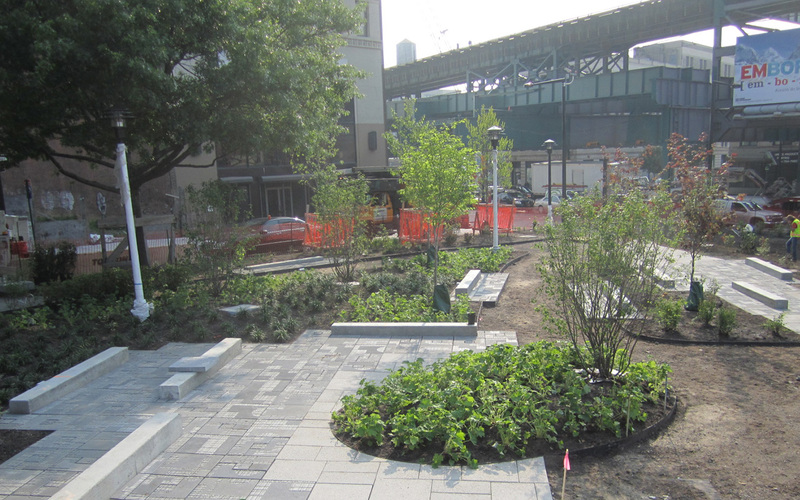 Hundreds of trees and thousands of perennials were planted to create a rich, layered vegetative corridor that mitigates noise and connects the plaza with the East River. The city had an aggressive completion schedule for the project. In order to meet their goals, SiteWorks coordinated with the design team and contractors to address changes and challenges as quickly as possible. As the project progressed, several scope changes were incorporated. 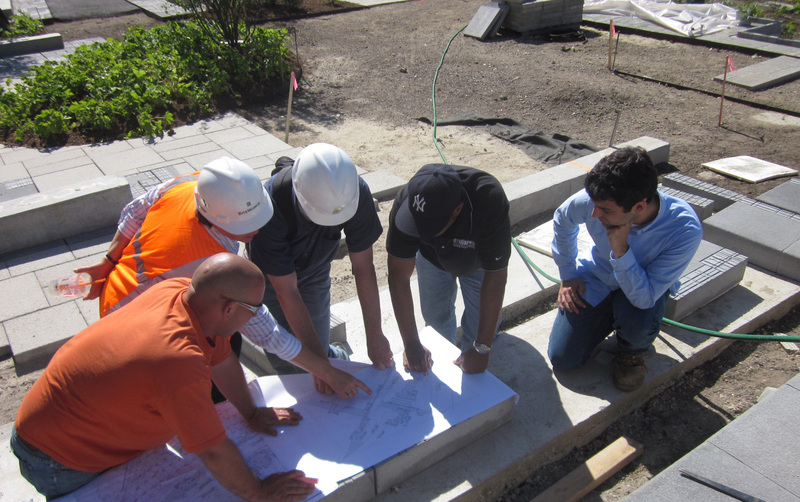 SiteWorks, in collaboration with the design team developed the best solutions for project related issues, and played an integral part in developing an efficient schedule. 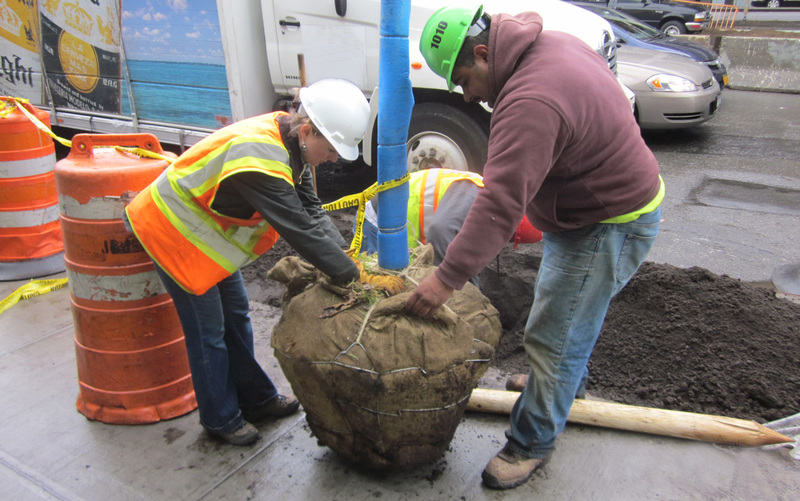 SiteWorks worked directly with NYC Department of Parks & Recreation Forestry staff to obtain permits and coordinate tree preservation and removals. 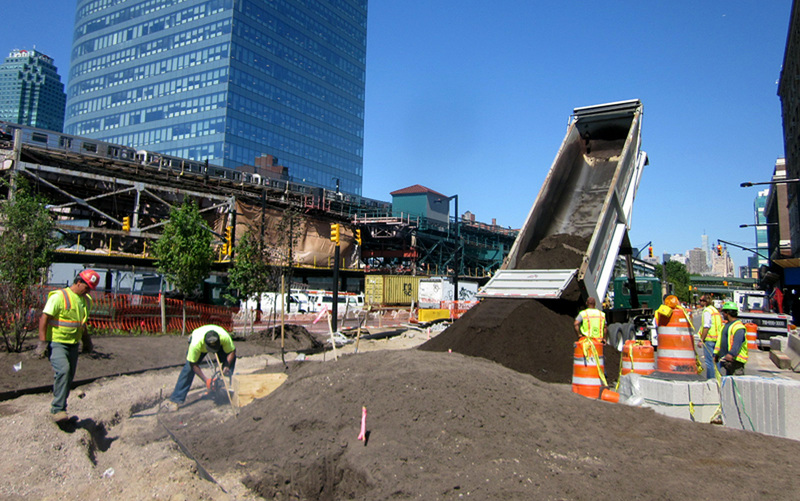 SiteWorks’ role also included inter-agency coordination with NYC DDC, NYC DOT and utility companies, field inspection, plant sourcing, coordination of soils testing, hardscape implementation, review of pay-requests and in addition to coordinating the multi-year schedule, to ensure the success of this complex transformation.